At CitySide Healthcare, we believe that we are only as good as the people we surround ourselves with. We are in search of the best and the brightest people in the Behavioral Healthcare industry to provide superior service to our consumers. We have positions available ranging from Entry Level Counselors to Experience Physicians. If you are interested in a solid career with a successful company, apply now! You’ll be glad you did. We pride ourselves in the quality of our service and the skilled professionalism of our staff. We also have a prioritized commitment to our consumers, the company and coworkers. With this approach, we aim to influence excellence and integrity within every area of our agency. If you want to be a part of a great organization that pays competitive salaries and allows you to maximize your fullest potential then apply for a position below that meets your credentials. The psychiatrist is responsible for the development, implementation, and supervision of medication, psychiatric and medical treatment policies and procedures. The clinical psychiatrist will specialize in the diagnosis, treatment and prevention of mental health and emotional problems by use of counseling, therapy, and medication. They will provide individual therapy to gain insight into a patient's past and find coping methods to help patients address their own problems. Mental health issues range from severe and life-threatening disorders to relatively mild and self-limiting conditions such as schizophrenia or bipolar disorder, or from the more common, yet disabling, anxiety and depressive disorders or from alcohol and other substance abuse problems. As a Psychiatrist, you will work in both in-patient and out-patient settings, seeing 10-12 patients a day with potential to expand. You will collaborate and work closely with the Clinical Director of Mental Health Services regarding day to day operational issues and quality improvements projects. The candidate for this position must have experience in conducting Behavioral Health Assessments, CANS/ANSA, developing “SMART” Treatment Plans and writing progress notes in the B.I.R.P. format. Ability to travel to provide services or other related business. Proficiency is in Microsoft Word, Excel and Outlook is a plus. Prescribe, direct, or administer psychotherapeutic treatments or medications to treat mental, emotional, or behavioral disorders within the standards of professional psychiatric and medical care. Provision of on-call psychiatric services after hours when scheduled and as needed. You exercise of independent medical judgment with regards to patient diagnosis and treatment shall be unrestricted. Job Summary: The(part-time) RN is responsible for providing and coordinating patient care, as well as educating patients about various health conditions. The RN will assess vital signs, administer injections, and provide advice and emotional support to patients and their family members.This type of patient care is for the purpose of educating and advising clients on pertinent health issues and ensuring that medication is properly administered in compliance with the doctor’s orders. This working professional has to document the execution of all treatment and sign orders for delivered services according to the agency’s and any official regulating guidelines. Promote and restore patients' health by completing the nursing process; taking a collaborative approach by managing treatment under the direction of the MD, and coordinating services under the direction of the Clinical Director; and providing physical and psychological support to the consumer. 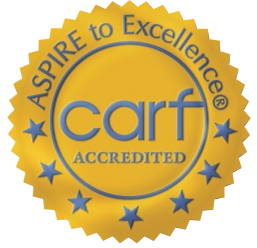 Assures quality of care by adhering to therapeutic standards; measuring health outcomes against patient care goals and standards; making or recommending necessary adjustments; following nursing division's philosophies and standards of care set by state board of nursing, state nurse practice act, and other governing agency regulations. Identify the problems and symptoms of consumers and to implement and manage treatment strategies, and ensure proper medication administration. These services are provided through initial interviews with clients where pertinent data and information are recorded, taking and recording vitals, community screening programs which includes; performing a variety of medical tests, conducting Behavioral Health Assessments and Nursing Assessments, and through collaborations with other medical doctors for the purpose of creating relevant Treatment Plans. The RN must also be able to provide therapeutic counseling services and/or teach skills. The RN will participate and/or attend in community events, promotional events and/or group sessions, as needed. Provides supervision and guidance to Licensed Practical Nurses (LPN) and other non-licensed clinical support staff in delivering interdisciplinary patient care. 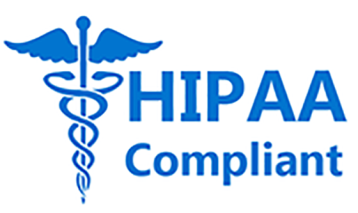 Working knowledge of HIPAA, CARF and other applicable governmental and contractual compliance regulations. The RN will attend staff meetings and participate by sharing information during meetings. Must have strong customer service, oral communication,interpersonaland writing skills. Ability to establish a compassionate environment by providing emotional, psychological, and spiritual support to patients, friends, and families. Ability to work with a variety of patients, from pediatric to geriatric. Must be able to resolve patient problems and needs by utilizing multidisciplinary team strategies. Mandatory ability to market company’s services. Must be able to conduct trainings within profession. Willing and able to learn new skill setsand multitask. Ability to maintain a highly positive attitude. Ability toremain highly organized and integrates organizational priorities and deadlines. Must possess an A.D.N. or B.S.N. from an accredited College of Nursing. Current nursing license in the state of Georgia and two (2) years experience. Community based (CORE) service experience. Mental health or behavioral health work. Bi-lingual (Spanish) preferred but not mandatory. Must possessa valid driver’s license, full car insurance coverage, a clean MVR and reliable transportation. Must successfully pass criminal background check and subsequent routine checks. Ability to work in various cultural environments and must be available some weekends. Must maintain qualifying and necessary certifications or licensures required by the agency or state. This candidate must be willing to travel locally (within the state of GA), domestically, and internationally. He or she must also be proficient with computers, the Internet, email and MS Office products and own a personal computer, printer and mobile phone. Candidate must submit all proper documentation in BIRP format, and meet the minimum requirement of 10in officehours and 15 field hours per week. Nursing services are rendered to consumers either at the company’s home office in Atlanta, GA and/or outpatient facility, including but not limited to the consumer’s residence. The person working as a Licensed Therapist or Supervisee/Trainee provides Individual, Family and Group Psycho-therapy, Counseling and Behavior Modification treatment to consumers with mental Health and/or substance abuse problems. These services are rendered to consumers in an office or outpatient facility, including but not limiting to the consumer’s home. The Therapist provides these specialty services to the consumer according to the goals defined in their Treatment Plan. This type of treatment is for the purpose of indentifying and resolving personal, social, vocational, intrapersonal and interpersonal issues. This working professional has to learn the behaviors of each consumer and document a plan of service prior to each session and any time of delivery. The Therapist primarily travels to the consumer on his or her behalf to provide treatment or conduct related services. He or She has to document the execution of all treatment according to the agency’s and any official regulating guidelines. The Therapist also provides case management services and attends weekly staff meetings. The Therapist must be available to respond to the needs of the consumer(s) 24 hours a day and 7 days a week. (3) three years of therapy experience with the license. A minimum of (2) years of supervisory or leadership experience is required. The ability to order services, create SMART treatment plans and conduct assessments are standard responsibilities and must be done on a routine basis. The candidate must possess a valid state of Georgia driver’s license and reliable transportation. He or she must maintain full car insurance coverage, successfully pass a criminal background check and subsequent routine checks, and maintain qualifying and necessary certifications or licensures required by the agency or state. The candidate must be able to communicate proficiently in writing and orally. He or she must also be proficient with computers, the Internet, email and MS Office products and own a personal computer, printer and mobile phone. The responsibility of the Therapist is to identify the problems and symptoms of consumers and develop, implement and manage treatment strategies according to their strengths, needs, abilities and preferences. These services are provided by conducting Behavior Health Assessments, creating Treatment Plans and delivering therapeutic interventions for the purpose of improving the consumer’s mental and/or behavioral status. The Therapist manages and provides Core C&A, Intensive Family Intervention (IFI) or Adult Core services to consumers who have been diagnosed with a mental health or substance disorder. The candidate for this position must be a LMSW, LAPC, or LAMFT with a Master’s degree in one of the helping professions such as Social Work, Counseling, Psychology, Sociology or Criminology with at least one (1) year of experience. The person working as a Therapist I or Supervisee/Trainee provides Individual, Family and Group Psycho-therapy, Counseling and Behavior Modification treatment to consumers with mental Health and/or substance abuse problems. These services are rendered to consumers in an office or outpatient facility, including but not limiting to the consumer’s home. The Therapist provides these specialty services to the consumer according to the goals defined in their Treatment Plan. This type of treatment is for the purpose of indentifying and resolving personal, social, vocational, intrapersonal and interpersonal issues. This working professional has to learn the behaviors of each consumer and document a plan of service prior to each session and any time of delivery. The Therapist primarily travels to the consumer on his or her behalf to provide treatment or conduct related services. He or She has to document the execution of all treatment according to the agency’s and any official regulating guidelines. The Therapist also provides case management services and attends weekly staff meetings. The Therapist must be available to respond to the needs of the consumer(s) 24 hours a day and 7 days a week. The candidate for this position must at least have a Master’s degree in one of the helping professions such as Social Work, Counseling, Psychology, Sociology or Criminology; or currently enrolled in a post graduate program pursuing a Master’s degree in one of the above helping professions. If this candidate has not earned their post graduate degree, he or she must have at least completed their practicum, which must be reflected on the transcript. The person working as a CAC II is responsible for helping people to cope with their drug and/or alcohol disorders. In order to accomplish this, the substance abuse counselor must counsel those who are addicted to various substances in order to help them identify the reasons for their addiction and to overcome the problems related to the addiction through Behavioral Assessments; Service Plan Development; Community Support Services; Individual, Group; Family Counseling/Training, Discharge Planning, Brief Treatment and Brief Intervention Techniques. The CAC II travels to the consumer or on his or her behalf to provide treatment or conduct related services. This person must deliver or provide services to each consumer in their home, at school or any other place within their community or natural living environment. The CAC II must also transport consumers when necessary. He or she must provide documentation supporting counsel and treatment in accordance the agency's and any official regulating guidelines. This candidate must also be able to provide therapeutic counseling services and/or teach skills, and must have strong writing skills and excellent communication skills. The candidate for this position must be possess a high school diploma or equivalent and be certified as a CAC II, or be an Addiction Counselor Trainee with a Bachelor's degree in one of the helping professions and two (2) years experience. The candidate must possess a valid state of Georgia driver's license and reliable transportation. He or she must maintain full car insurance coverage, successfully pass a criminal background check and subsequent routine checks, and maintain qualifying and necessary certifications or licensures required by the agency or state. Candidate must be able to meet the minimum requirement of 20 hours in the field per week. He or she must communicate proficiently in writing and orally, and must also be proficient with computers, the Internet, email and MS Office products and own a personal computer, printer and mobile phone. The responsibility of the CAC II is to provide rehabilitative services to consumers by providing addictions counseling and using community resources to aid them in achieving their recovery. 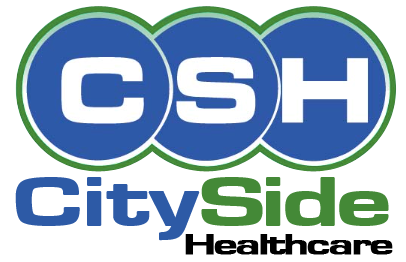 The CAC II provides services to children, adolescents or adults who have suffered and/or are suffering with a substance abuse disorder. The services are provided to the consumers individually, with their families or within other group settings. The majority of the services are rendered to the consumers in their home, at their school or some other location in the community. The CAC II will conduct Behavioral Health Assessments and provide Treatment Plans specific to those persons with a history of abuse, in order to assists the consumers in coordinating and reaching the goals set in their Individual Recovery Plan (IRP). All services are based on the consumer's IRP or Treatment Plan and documented according to the service guidelines. The person working as a Para-Professional (PP) assists the agency and licensed professionals in the delivery of mental health or substance abuse treatments specifically designed for a consumer or consumer group. The PP delivers these clinical support services using skill building techniques and community resources. He or she has to learn the behaviors of each consumer and document a plan of service prior to each session or any time of delivery. The PP travels to the consumer or on his or her behalf to provide treatment or conduct related services. This person must deliver or provide services to each consumer in their home, at school or any other place within their community or natural living environment. The PP must also transport consumers when necessary. The PP documents the execution of all treatment and delivered services according to the agency’s and any official regulating guidelines. He or she provides case management services and attend weekly staff meetings. The Para-Professional must be available to respond to the needs of the consumer(s) 24 hours a day and 7 days a week. The candidate for this position must possess a Bachelor’s degree from an accredited college or university in one of the helping professions such as Psychology, Community Counseling, Social Work, Sociology or Criminology; or be certified as a MAC, CAC II, CADC; a Bachelor’s degree with a certification as a CPRP, CAC I, or Addiction Counselor Trainee; or a Bachelor’s degree with at least 2 years experience providing community or residential counseling. The candidate must possess a valid state of Georgia driver’s license and reliable transportation. He or she must maintain full car insurance coverage, successfully pass a criminal background check and subsequent routine checks, and maintain qualifying and necessary certifications or licensures required by the agency or state. Candidate must be able to communicate proficiently in writing and orally. He or she must also be proficient with computers, the Internet, email and MS Office products and own a personal computer, printer and mobile phone. The responsibility of the Para-Professional is to provide rehabilitative skills building services to consumers by conducting behavioral trainings and using community resources to assist them in improving their lives. The PP provides Core or Intensive Family Intervention (IFI) services to children, adolescents or adults who have been diagnosed with a behavioral, mental health or substance disorder. The services are provided to the consumers individually, with their families or within other group settings. The majority of the services are rendered to the consumers in their home, at their school or some other location in the community. The Para-Professional assists the consumers in coordinating and reaching the goals set in their Individually Recovery Plan (IRP). All services are based on the consumer’s IRP or Treatment Plan (TX) and documented according to the service guidelines. Interns’ credentials must meet or exceed the minimum qualifications of a Therapist I. They must also be recommended by a licensed professional from the healthcare industry, complete a successful interview, clear the company and industry standard background check and have weekend availability. All Interns are required to provide transcripts or proof of collegiate enrollment in order to be considered eligible for an interview.